If you think your 650bhp supercar is fast enough to demolish everyone on the track, you might need to think again. 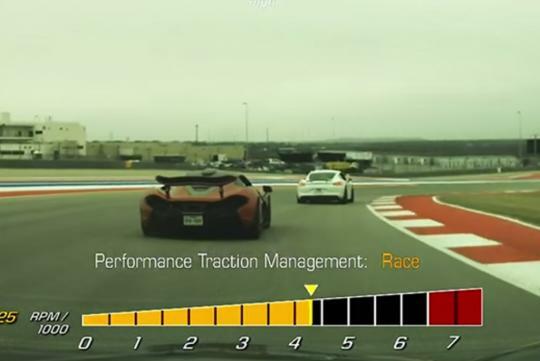 In this video, a 2015 Chevrolet Corvette Z06 is seen trying to hold onto the McLaren P1 at a Circuit of the Americas (COTA) track day which is situated in Texas. Credits to the driver of the Z06, who seemed to know the track and his car better than the driver of the P1. This allowed him to stay with the P1 for a while before the overwhelming power advantage of the P1 leaves the Z06 for dead on the straights. Fans of the hypercar might notice the P1 engaging its Drag Reduction System (DRS) feature too as the rear wing flattens upon the exit of the corner @ 1:17min of the video. According to the Z06 owner, his car comes with the Z07 package which includes, carbon ceramic brakes, Michelin Pilot Sport Cups 2, and other adjustable aero parts which allowed him to hang onto the P1 in the corners. As a refresher, the McLaren P1 has 903bhp and is capable of doing 0-300km/h in 17 seconds. Watch the video to see the difference between a supercar and a hypercar on the straights. As the saying goes, "Straights are for fast cars. Corners are for fast drivers". The P1 is a fast car. The Corvette had the faster driver. Quite obvious here the video car was very good in the corners. Smoooooth. Thumbs up.